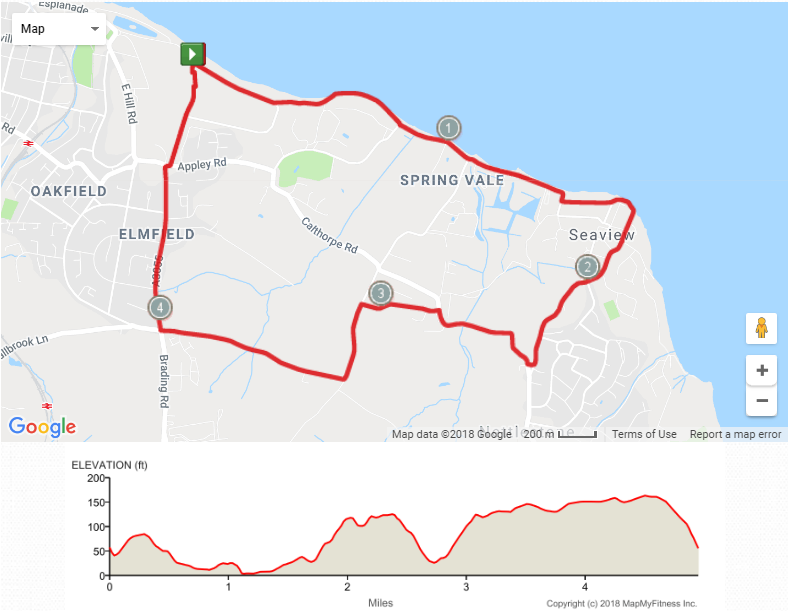 The Alan Reed memorial run is a 5 mile nominated run around Seaview. Alan was a prominent sportsman who lived on the island and was tragically killed in a road accident in 1990. This run has been taking place ever since in his memory. Turn right down over Nettlestone Hill (there is a footpath on the right of Nettestone Hill which is safer than the road) continue down to the bottom of the hill and round the corner to the right. At the top turn left into Pondwell Road, continue on to the sharp right hand bend into Bullen Road and continue to the crossroads at Westridge Cross. Turn right at the traffic lights onto Malborough Road (4 mile), and carry on to the end of the road. Cross over Appley Road and go down Appley Lane to the bottom and finish outside the Club.